Congratulations on making it this far, it wasn’t easy and it wasn’t terribly difficult either. By now you have developed your Japanese fundamentals so well that anything you learn from here on out will be a walk in the park. While it would be impractical to count all the way to 999.99 quadrillion in Japanese, you know how to count that far in theory. You also know some of the history behind Japanese numbers, kanji, and Japan in general as well as various Japanese superstitions, traditions, and have caught a glimpse on their way of life. You should now know approximately 12 words, 2 particles, 1 copula, all of hiragana, 16 kanji, and to top it all off you also know certain greetings, sayings, and the logic behind various things. 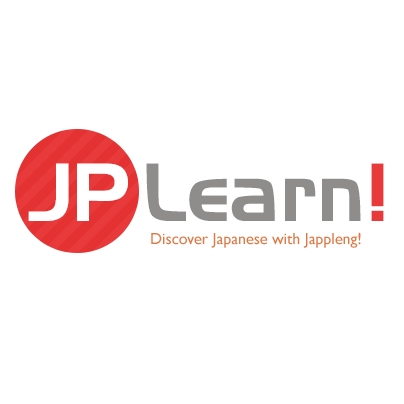 You are certainly on a path to mastering Japanese in just a matter of months rather than years at this rate and it won’t be long before you can speak basic Japanese with others in our chat, forums, and other social aspects of the site like Club Jappleng and J-Spot Social. But more importantly you are almost ready to go to Japan prepared for anything. However, in order to be fully prepared to go to Japan, you will have to complete Chapters 2 and 3. But before we move on to the next chapter, let's make sure that you fully understood the content that was previously learned. Let’s do a quick review and then we can proceed to Chapter 2. JPL-B001 : Welcome to JPLearn! In this preface, we learned about Jappleng, the JPLearn! program and how to accept and complete the assignments. In this lesson, we had gone over a brief history of Japan and the Japanese language, explored a bit about the three writing styles. In this lesson, we had practice all of the Japanese pronunciations so that you would know how to pronounce the words that you learn. Be sure to download the sound files (Part 1, Part 2, and Part 3) to your MP3 player. Notice, each file is in ogg format, an open source format that may not be entirely compatible with every MP3 player. We used what we have learned in the pronunciation guide by learning our first greetings and also attempted to dissect some words for a better understanding on how some words are created. We set the pace a little stronger by introducing Hiragana. We learned the stroke order, the vowels and ‘k’ column. The homework assignment taught many new words including あお, あおい, いいえ , and others. We understood that in this lesson that learning Japanese without knowing how to read and write in Hiragana is a silly process and should be avoided at all cost. In this lesson we discovered the great joys of the Japanese honorifics. How do you say Mr. or Mrs.? How do you say Teacher or Professor? How do you talk to your boss and so forth… There are a lot of different honorifics and we learned the most common ones as what we deemed “Beginner” honorifics”. We also learned some new words and the hiragana columns ‘T’ and ’S’. Now we’re getting somewhere! We begin by introducing the concept of a copula and particles. Then we proceed to learning how to say “this and that” as well as topic markers. We take what we have learned and expand on it by asking questions by adding "ka" at the end of a sentence. We also learned here about Dakuten, and Handakuten. Because we are about to be exposed to some kanji in the numbers lessons, we need to learn a bit about kanji first. We set out to do just this in this lesson as we go over the history of Kanji, and how it came to be. After learning about Kanji, hiragana columns ‘N’ and ‘H’ were learned. Now that we understand the history about kanji, we may now expand our knowledge into the realm of writing them. Kanji are essential in Japan and there are simply too many of them to memorize them like they do in Japan so we talked about a little trick about Radicals to help speed up the process. While radicals won’t be formally introduced until later in Chapter 2, we get a glimpse on how kanji are structured. This is important because in JPL-B011 we begin to learn our first set of kanji with numbers. In this lesson we also learned hiragana columns ‘M’, ‘Y’, ‘B’, and ‘P’. The basic numbers 0 through 9 were taught in this lesson which also included double-meanings to some words, superstitions, and how to count using fingers the Japanese way. We also learn how to count up to 5 using kanji and introduced the Japanese character ‘n’. We get a little more complex by learning how to count from 10 to 99 in Japanese and while it may be more complex, it is not terribly difficult after learning the logic behind numbers. Numbers 1-99 can now be written in kanji from this lesson. Finalizing the counting segment in learning how to count in Japanese; we learn how to count up to a quadrillion but it’s up to you to decide how high you really want to count. We recommend to know at least the thousands for the upcoming lessons. When we complete our new education software, we’ll be able to provide an exam to test your skills, but unfortunately it’s not yet ready at this time. But what we have provided you is a checklist of the many different things of what we have taught in an excel file (equally in a pdf and word document). If you do not have Microsoft Office to open the original documents, you can drag and drop the files into Firefox or Chrome and it should work natively; if it doesn’t, Open Office is a free alternative as well as Google Docs. When you are done with this chapter, you may proceed to the next Chapter.